Electro medical device for diathermy treatments, complete with an upper storage surface for a wide range of applied parts. The low level laser therapy (LLLT) is indicated for an antalgic action in the treatment of arthrosis and some arthritis conditions, following contusions, hematomas, as well as atrophic and varicose ulcers. The Vacuum therapy is a therapeutical method which uses the effect of the vacuum in the body by combining the improvement of the tissue microcirculation with an anti-inflammatory and detoxing action. 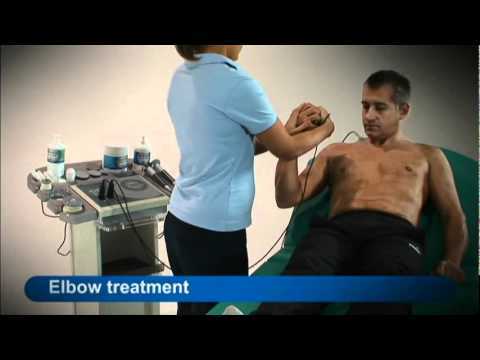 The radar therapy is indicated in the treatment of painful and rheumatic affections, mainly of degenerative type at all levels, but particularly in the greater joins and rachis. Pressure therapy acts on venous and lymphatic circulation, making it more efficient in cases of cellulite, water retention, ectasia, etc. TENS electrotherapy machines for acute and cronic pain treatment, and combined TENS/EMS units for muscolar stimulation and rehabilitation programs. 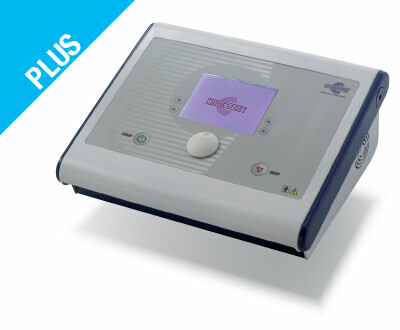 Our program for electro-medical equipment is made up of three Series which cover a wide range of therapy treatments. These Series are different among themselves by their functionality, performances and fields of application. The following models are listed and grouped for each series with a set of symbols representing their main features. The electro-medical equipment program is completed with the TCARE™ for Tecar therapy, which is the top-level device of this series and that is presented separately with another brochure. 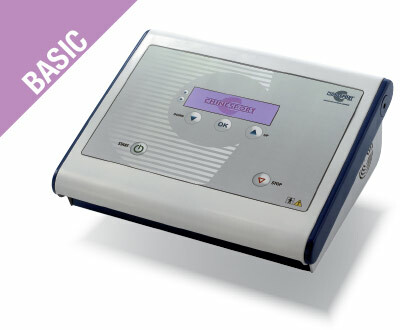 This equipment allows a quick cell regeneration by resistive-capacitive energy transfer along with the combination of an original way of transdermal transference applied directly on the part to be treated. The transference of the active agent is done by means of some special handpieces called ROLL-ON. 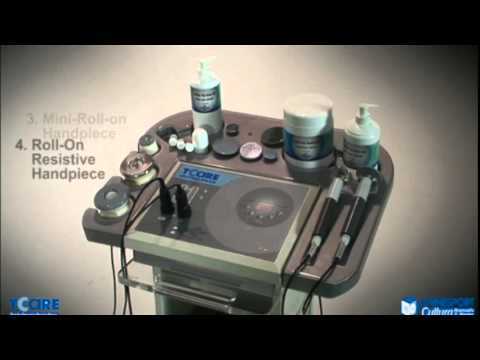 Ask for further material to get to know more about this equipment. Excellent line: A colour 6” touch screen and a user interface with windows and icons PC style. Commands can be given by simply tapping with the fingertips or by using the pen included. Plus line: A 6” wide liquid crystal display and a resolution of 320 x 240 dpi in black and white which ensures a clear view of all the main parameters. An easy to handle and practical rotating transducer enables by means of pressure (handset) to control the device and give commands in an easy, simple and intuitive way. Basic line: this product line has got a black and white screen with 240 x 64 dpi resolution, which ensures a clear view of all the main parameters. 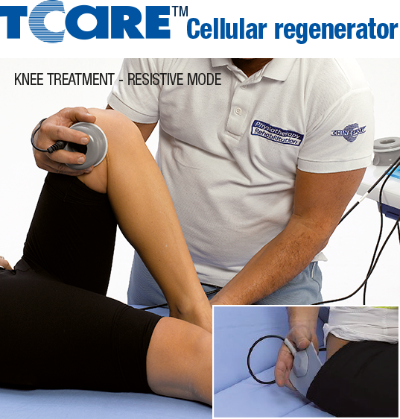 An important feature during everyday use of the electro-medical device is its easy use. This is the main feature which distinguishes the concept project of this line. 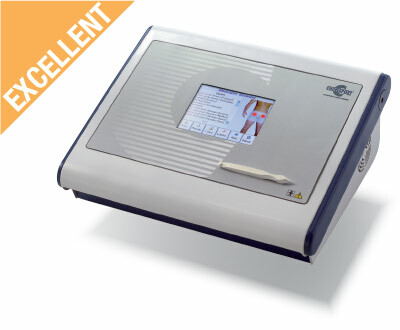 The carer is aided by a high ergonomic standard while carrying out the therapy due to the use of a simple membrane keyboard and thanks to the simple functions set at software level. All the devices can be set to operate in different languages: English, Italian, German, French, Spanish. It’s also possible to update the software with other languages. Some work protocols are already memorized and ready to use. You can save time by simply choosing a diagnosis from the list of alphabetically organised protocols and selecting a programme to initiate the treatment. It is possible to store new work procedures in the internal memory. The number of these procedures changes according to the field of application (see technical features). You can also add patient names and connect patient data with pre-programmed or your own protocols. Consequently in the following therapy sessions you can recall the patient name and apply the pre-defined therapy. Memorize new work procedures in the card and eventually share them on different other devices of the same model. Create personalized cards for different clients in which the corresponding treatment can be memorized. Save the integrity of some work procedures of particular interest (back-up).